Large hospitals and healthcare systems are comprised of many departments that offer, very often, dozens of service lines, such as pelvic health and orthopedics. And since marketing budgets are limited, of course, the bulk of spending goes where it will have the broadest impact on the organization as a whole. Often this means concentrating on the overall brand and/or its most profitable service lines. If a choice has to be made for advertising cardiology practice or a pulmonary specialist, it’s likely the lung doc will be out of luck. Typically, that’s that. Especially in the past. 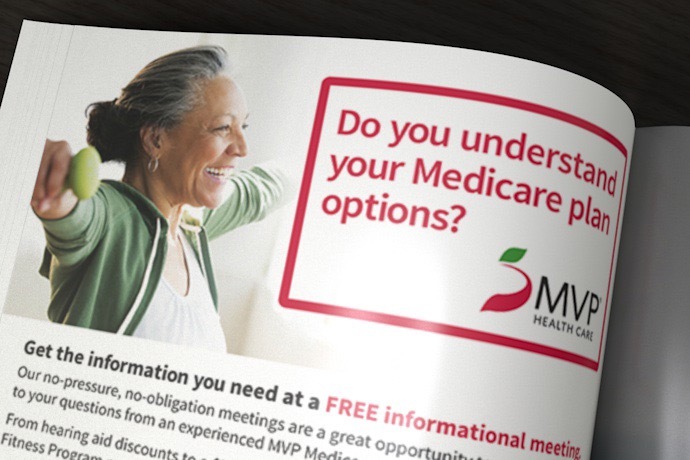 But now, with known successes in healthcare content marketing, hospitals and other providers have a new option that can help to market service lines that don’t typically see traditional advertising dollars (as well as complement campaigns for those that do). Content marketing of service lines can achieve some of the same goals as traditional marketing, including developing name recognition, building reputation and influencing patient preferences. It can involve a number of channels, including microsites, email, social media and blogs. And while they involve an ongoing effort (a collaboration between marketing departments and subject matter experts), they create assets that last for the long-term. Over time, they build brand awareness, thought leadership and a sense of the patient experience. 1. A blog will help potential patients find you. Very often, service lines offer treatment for medical conditions that people have time to research in advance of choosing a provider. Since so many use the Internet for this purpose, a good marketing strategy must include considerations for search engine optimization (SEO) and search engine marketing (SEM). Since good blogs publish relevant content on a frequent basis, they make great SEO/SEM assets. Since Google now rewards quality content with higher search rankings and penalize those who try to game the system, it’s important to avoid loading posts and post titles with blatant grabs for key words. For example, the South Denver Cardiology Associates blog relies too heavily on “Denver” and “Cardiology/-ist” in its headlines: “South Denver Cardiology explains the importance of proper clothes for exercise,” “Denver cardiologists recommend a trip to Mesa Verde” and “South Denver Cardiology reveals five great things to do with pineapple.” Even if this is successful in attracting site visits, it’s not the right approach, and eventually, Google will take note. A good middle ground – and a sound approach – can be found at Coastal Orthopedics’ blog. Many of its headlines are questions patients might ask like “What exercises are good for knee arthritis?” and “Do ice baths help sore muscles?” In an effort to both personalize the text of the post and include its name for SEO purposes, the group mentions its practice within the body copy: “Talk to a Coastal Orthopedics physician to find out what stretches could work best for you” and “To see if you’re a candidate for either a partial knee replacement or a hip replacement, contact Coastal Orthopedics,” for example. 2. A blog will help you tell your specific story. Stories resonate. A blog can tell the story of your doctors and their practice. It can tell your patients’ stories and your hospital’s stories. It can communicate the stories of your community, and it can tell stories of health (and disease) specific to your service line. Use a blog for this purpose instead of as a storehouse for generic information about disorder and treatment. Yes, a service line blog can (and should) include posts relevant to conditions, but if people want to learn generically about heart attacks, they can go to Wikipedia, WebMD and About.com. Good blogs publish content specific to the hospital and its service line. Write about what’s personal to your practice and your experience, not just your specialty. This is where the blog for Tri-City Cardiology Consultants could improve. It not only has no bylines from the practice’s physicians, but the articles are generic to heart disease and how to choose a cardiologist. One way Women’s Health Blog from the University of Colorado addresses this is by including author/physician photos and bylines with each post. It helps, for sure, but we recommend going further. Along with general medical information, include your service line’s approach, its philosophy, anecdotes from your actual patients and doctors detailing how the research has played out in their experience. This kind of content helps position the service line and hospital well: not just to consumers but to health insurers, referring doctors and Compass-like, third-party services. A blog permits great complexity and detail. This is a benefit to service lines. A service line blog can include a broad spectrum of content that shows the extent of its expertise and commitment to patients. In one spot, for example, Baptist Health’s Cancer Services blog covers the following: breast cancer events, cancer research, cancer treatment, emotional support, healing journeys, lifestyle changes, nutrition, patient care, patient perspectives, resources and survivorship. 3. A blog will showcase – and humanize – your expertise. Thought leadership matters. When choosing a provider for a specific service, patients want to be assured that the practice knows its stuff. However, they also want to feel comfortable. Seeking medical care can be intimidating (and sometimes scary), and the terminology and process can be overwhelming. Instead of contributing to that dynamic, a blog should put patients at ease. It should open a conversation. Which of these two blogs would do that for you: the Pediatric Cardiology Center of Oregon’s blog, which is almost entirely about medical conditions and screening, or the blog for Eugene Pediatric Associates, which is not only bylined by Dr. Bradshaw, one of the pediatricians, but also includes posts like “Top 10 things I miss about my kids being little”? 4. A blog can help you initiate and nurture relationships. Good content marketing – when built on solid platforms and done correctly – increases accessibility for consumers. They can then have a better shot of building relationships with the hospital and its providers. For example, a blog post at Eugene Pediatric Associates (the blog mentioned above) starts like this: “Food was a big part of my childhood because my grandma was a fabulous cook.” Can you see how the reader instantly starts to know (and warm up to) the author? Tone and language (strong, approachable writing) are important. The Deschutes Pediatric Dentistry blog tries to build these connections another way. Right away, at the main page for the blog, it announces, “See what we’re up to by following our blog! You’ll get updates on the latest contests, fundraisers and special events happening at our practice. We like you to stay connected.” The visitor knows instantly that this blog is about the patient community. But don’t be fooled: the approach benefits the practice’s bottom line, as well. Its specialty, dentistry, requires ongoing and repeated care. It needs to keep its audience close and engaged. 5. A service line blog “gives back” to your hospital. In addition to promoting the service line, the blog represents the hospital, as well. While allowing a deeper dive into a specialty, it contributes to the scope of information available about the larger hospital. The Brady Urology blog, for example, is branded along with the hospital; its expertise reflects back to Johns Hopkins Hospital. While the blog content itself could be more approachable (as described above), Johns Hopkins is a research hospital, and so its posts advance Johns Hopkins as being at the forefront of its industry. Frequency – From SEO to patient perception, the benefits of a service line blog are impacted by posting frequency. The blog should be well maintained. Got a great website? Don’t let the blog be an afterthought or a “when we have the time.” Greenville OB-GYN’s website, for example, contains lots of information: online resources, calendars, policies, bios and FAQs. 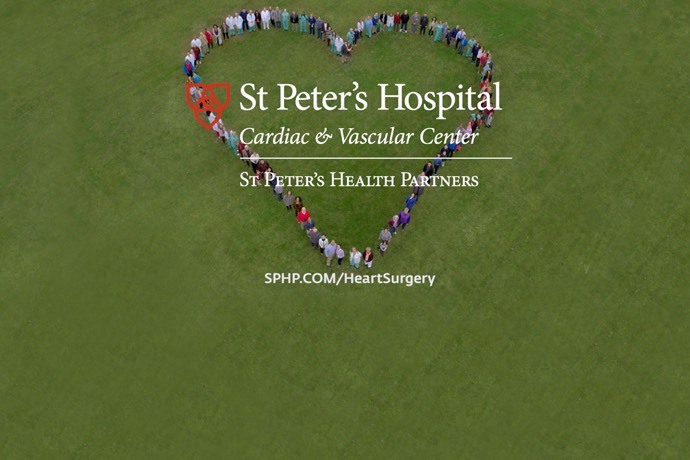 “Read our blog” is even featured prominently and proudly on the main page, but the blog itself needs more attention, as does the blog for Memorial City Cardiology Associates. Started in 2012, it has exactly five posts: three in 2012, one in 2013 and one in January of this year. Try to avoid this. A blog should stay current. Diverse content – To be interesting, a blog should be well rounded. The Tri-city Cardiology blog mentioned above published five posts in June and July. Here are three of the titles: “3 signs of a great cardiac specialist,” “What to look for when choosing a cardiologist” and “Five signs of a great cardiac specialist.” Choosing a specialist is a good topic for a blog post, but not repeatedly. Service line blogs are going to have a clear focus, but they should approach the subject matter from many different points of view. For example, check out what Shasta Orthopaedics does on its blog. It features local athletes after surgery, the practice’s community involvement and facility updates. It’s a content hub for the practice, and it creates a level of excitement and interest. Look, tone, feel – Appearances matter, both on the desktop and on mobile. Your blog should be responsive, and it should not look outdated. This includes type and images. If you use stock photos, choose good ones and invest in enough of them that you don’t have to repeat them. While the blog for Massachusetts General Hospital’s Center for Women’s Mental Health is robust, it cycles through its images too quickly. A review of the first page of the blog, for example, shows same image used in two different posts. Promotion and distribution – Don’t forget to promote and distribute your content. Two easy outlets for this are social media and email. In addition to the Boone Heart Institute’s blog being user-friendly, interesting, casual and diverse, its content is also available via email subscription. Certainly, we don’t mean to pick on the blogs cited in this post. We advocate for content marketing in healthcare, and we want to cheer them on as they attempt to utilize blogs in marketing their service lines. As with any marketing channel, always evaluate your current effort, not only in the context of what are considered best practices, but also with regard to what it’s yielding and how it’s meeting objectives (such as good traffic and positive feedback). While many healthcare organizations are still trying to figure out how to harness the power of content marketing, Media Logic client UCSF Department of Radiology and Biomedical Imaging (UCSF Imaging) jumped on board in December 2010. Today, its efforts are driving SEO and garnering it attention as a leader in social media.